One Lost Sheep...: Another one... FOUND! GO CHECK IT OUT! 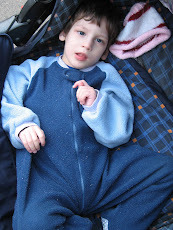 Today, another one of “my angels” made their way onto Reece’s Rainbow’s “My Family Found Me” page. I actually caught wind of this a couple of days ago but I have been anxiously awaiting for it to be made official and now that it is I didn’t want to wait one more minute to let you all know too! Liza - Soon to be Orphan No More! ﻿The world of adoption and orphan advocacy is a rollercoaster with some of the highest highs and lowest lows you will ever experience. There are days of mountain top victory, days of deep valley defeat and even some days where you are forced to experience both at once. It is the victories like these however that keep you going when the days are hard and you wonder if you can go on… So, to everyone who has shared Liza’s story, donated to her grant fund or prayed for her family to find her, take a moment today to celebrate and praise God for all He is doing on behalf of His children. 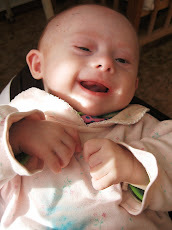 Orphans don’t have middle names but to me you have always been “my” Liza Joy… Joy. It exudes from your very being and touches the lives of everyone around you. Well, I sure hope you’re basking in that Joy today because, although you don’t know it yet, today is the first day of the rest of your life. A life where you will be loved, treasured and celebrated. A life where you will be free to learn and strive and be all that God created you to be. No more sitting on the sidelines for you, watching but never participating in the fun. Soon you will be right in the middle of the action, free to play and explore and get into mischief right alongside your siblings. Oh, I can’t even imagine all the joy your new life has in store! Three down, five to go… let’s keep praying them home!!! Yay! As soon as I saw the title of your post, I rushed over to refresh the my family found me page to see who it was! So happy for you and for "Molly"! Keep up the good advocacy work! God is blessing your efforts! Cannot wait to hear all of the details!! She is the cutest thing ever!!!! Rejoicing with you Andrea! So happy for this sweet girl!! !